Moonlight Serenade is a 1939 song composed by Glenn Miller, with lyrics by Mitchell Parish. 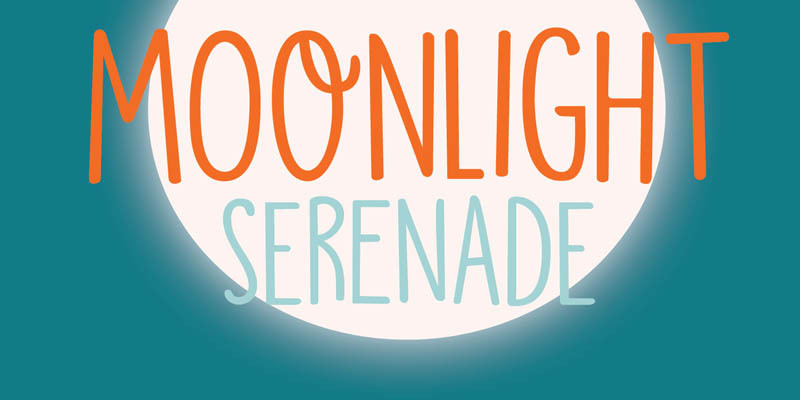 Moonlight Serenade font is an all caps affair – very legible, very recognizable and very useful. Upper and lower case differ slightly and are quite happy to mingle. In the words of Mitchell Parish: I bring you and sing you a Moonlight Serenade! Comes with a universe of diacritics.